Viefe handles / Deco / ¿Cómo cambiar un tirador? / How to change a handle? ¿Cómo cambiar un tirador? / How to change a handle? Sustituir un pomo o tirador antiguo (si no es integrado) por uno de nuevo es una tarea fácil que solo requiere seguir estos pasos. El reto es trabajar sin prisas y ser muy cuidadoso con los agujeros antiguos. Replacing a knob or handle (if it isn’t built-in) for a new one is an easy task that only requires that you follow these steps. The challenge is to work without rushing and to take great care with the old holes. 1. Destornillar los tiradores que vamos a sustituir usando un destornillador eléctrico plano o de estrella según el dibujo del tornillo. Si el pomo estaba tan desgastado que al intentar retirarlo se rompe, con unos alicates de pico loro retiramos el casquillo incrustado, dejando el hueco libre para alojar el nuevo modelo. 1. Unscrew the handles that you wish to replace using an appropriate electric screwdriver according to the design on the screw. If the knob was so worn that it breaks on trying to unscrew it, then remove the part remaining in the wall using elongated pliers so leaving a hole free to house the new model. 2. Si el nuevo tirador tiene el mismo sistema de fijación y medidas que el antiguo no hará falta realizar agujeros. De no ser así, habrá que taladrar nuevos agujeros y tapar los antiguos con masilla o ceras duras de la tonalidad más parecida a la del mueble. 2. If the new handle has the same assembly system and measurements as the previous one then it won’t be necessary to make new holes. Otherwise, you will have to drill new holes and cover the old ones with wall filler in a colour tone that closely resembles that of the furniture. 3. Colocar el nuevo pomo o tirador sujetándolo con la mano y apretándolo con el destornillador por la parte trasera. 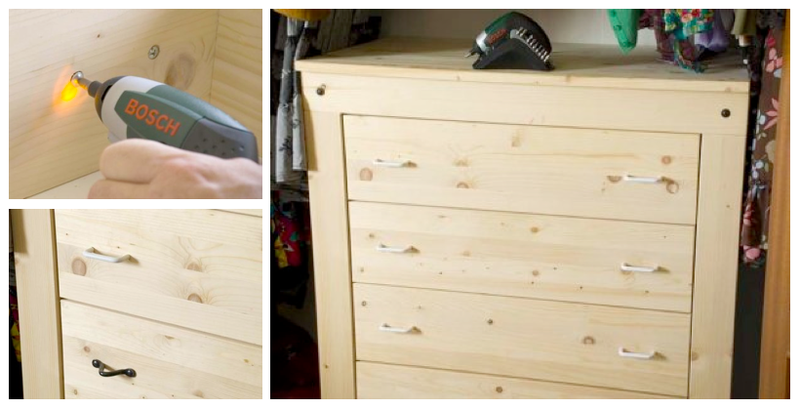 Posteriormente realizar la misma operación en el resto de pomos o tiradores del mueble. 3. 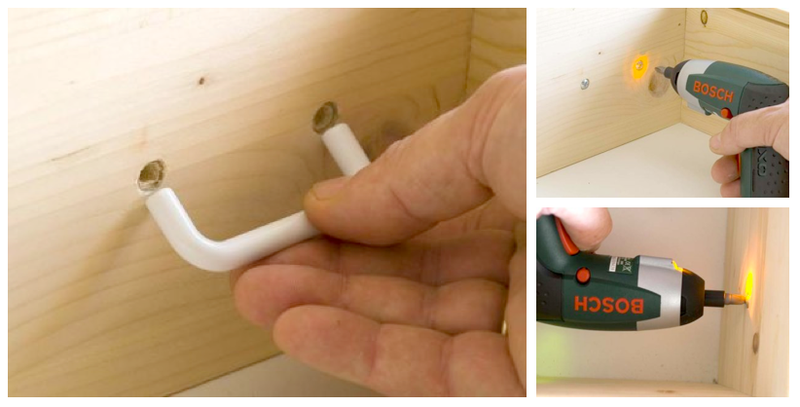 Fit the new knob or handle holding it firmly with your hand whilst fixing it in place from behind with the screwdriver. 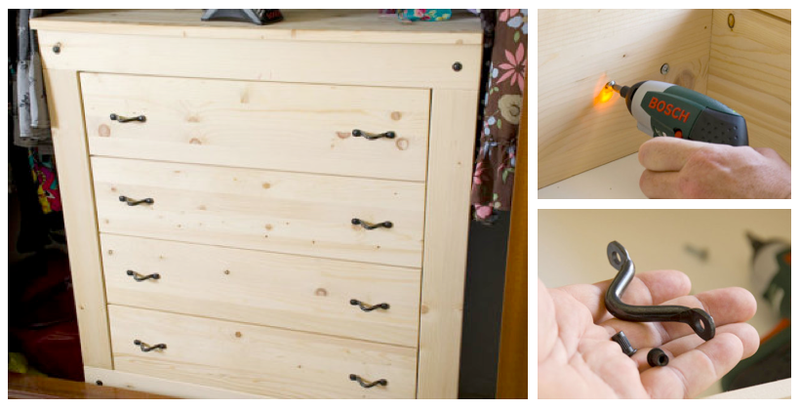 Then repeat the same steps for the rest of the knobs or handles on the furniture.